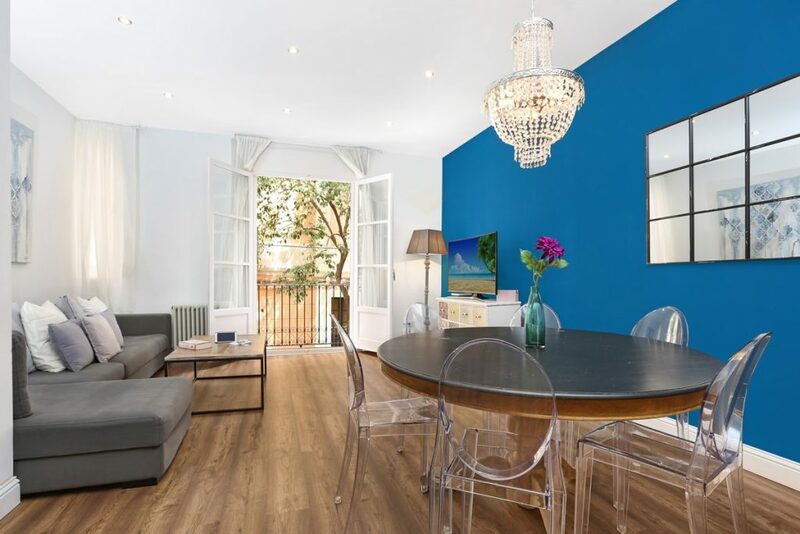 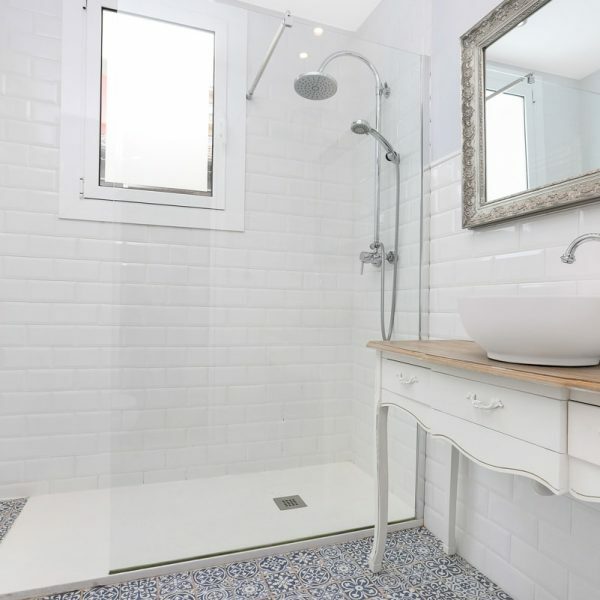 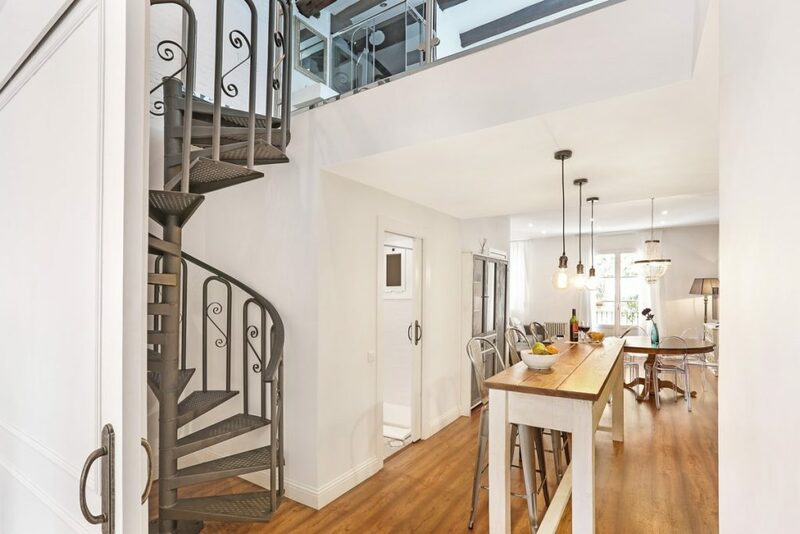 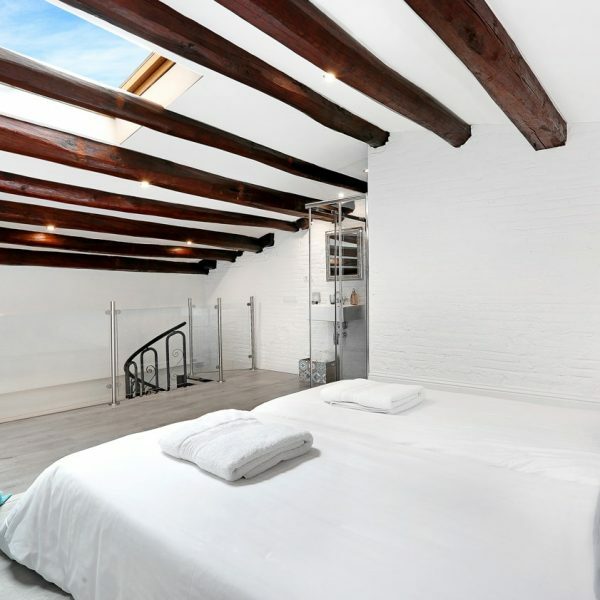 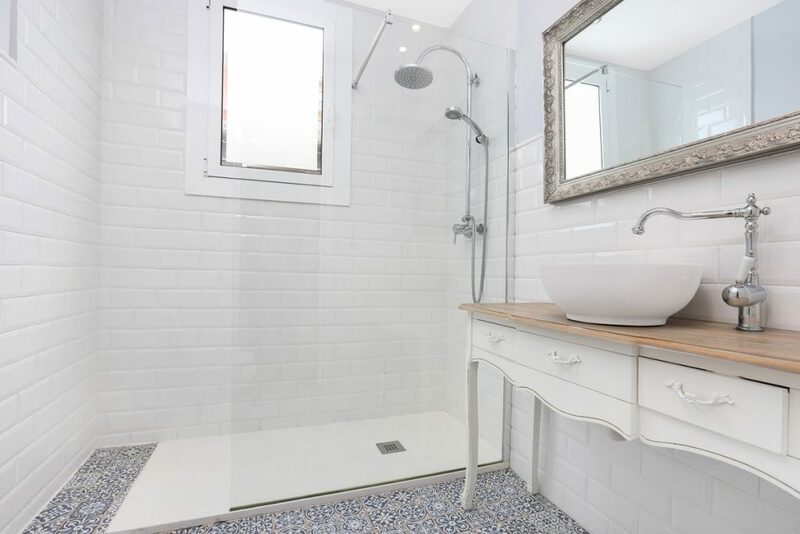 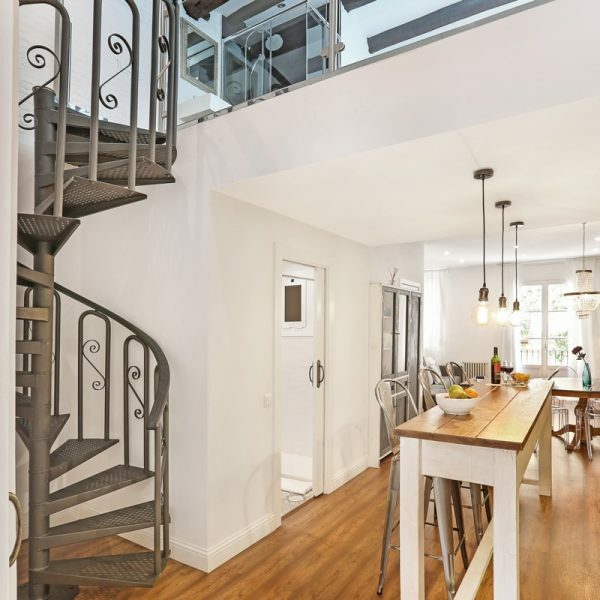 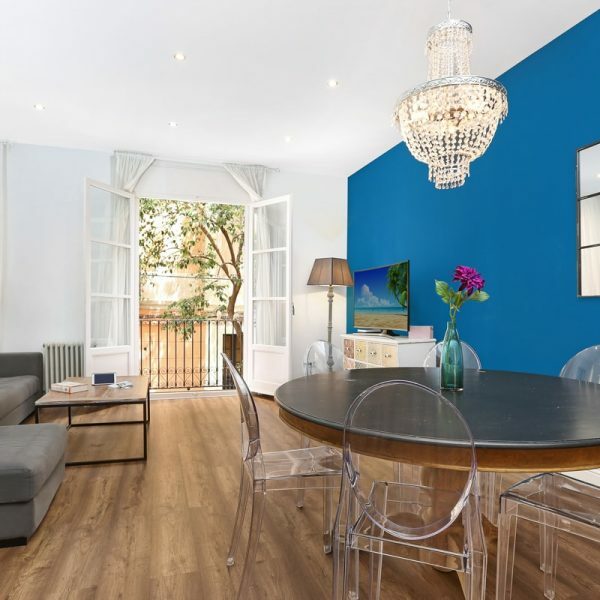 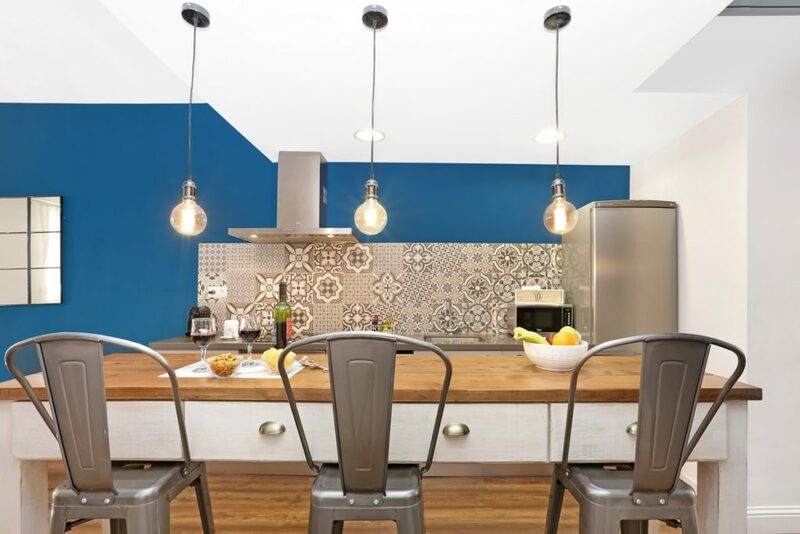 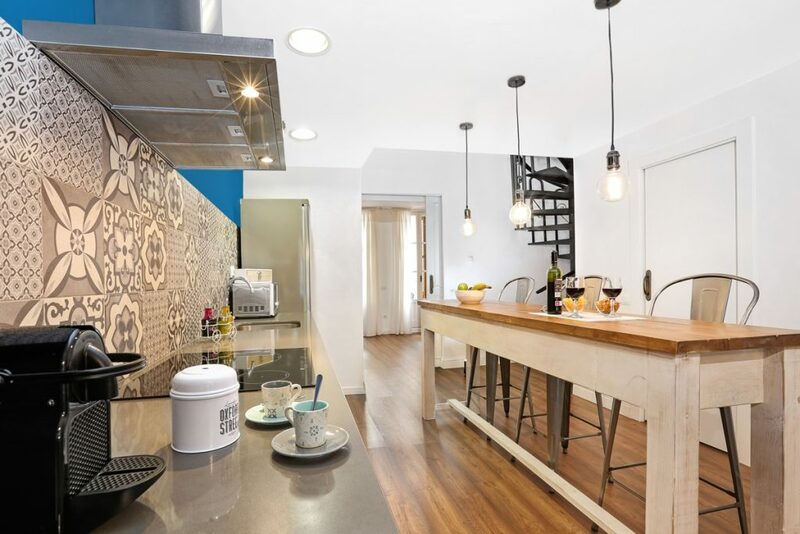 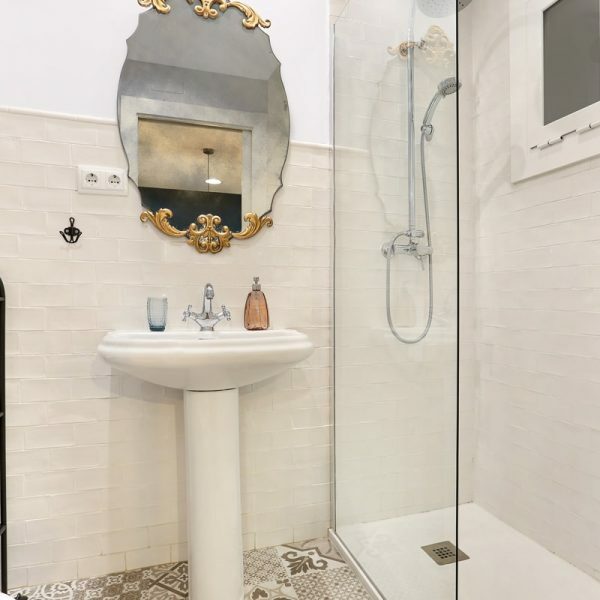 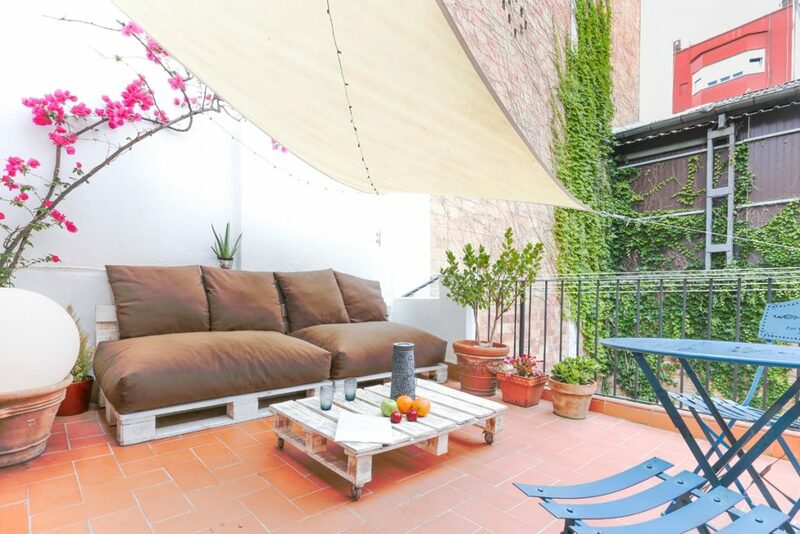 Gracia 1872 is Beautiful penthouse in the bohemian neighbourhood of Gracia, just 10 min away from famous Passeig de Gracia. 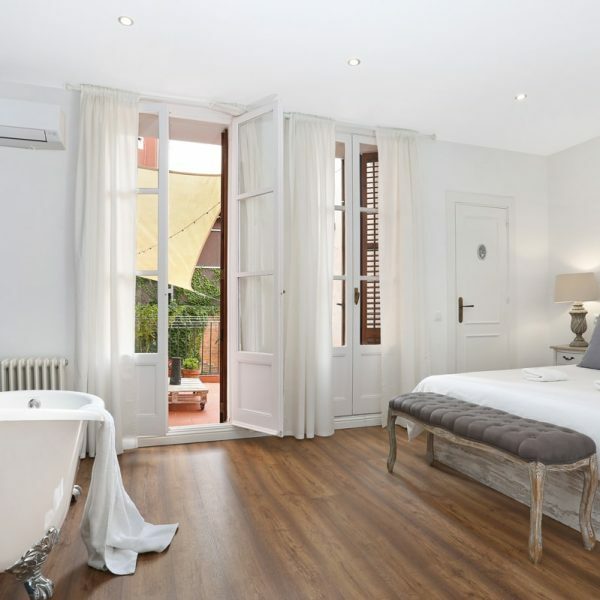 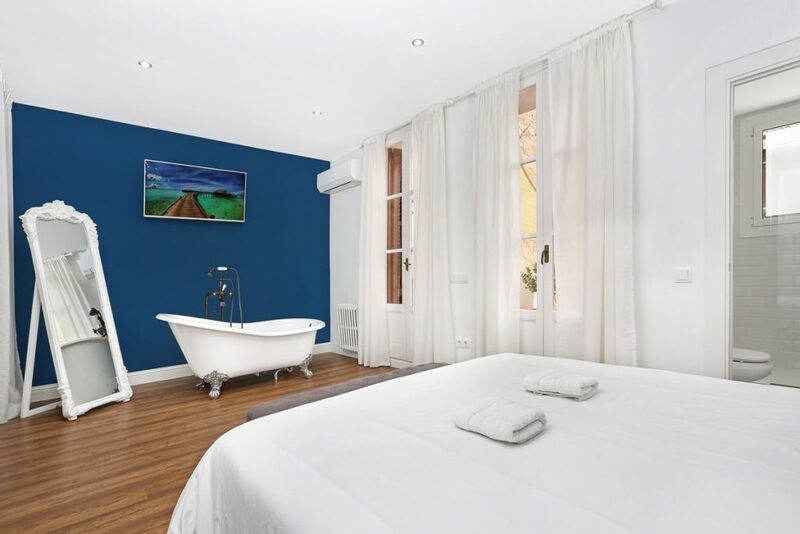 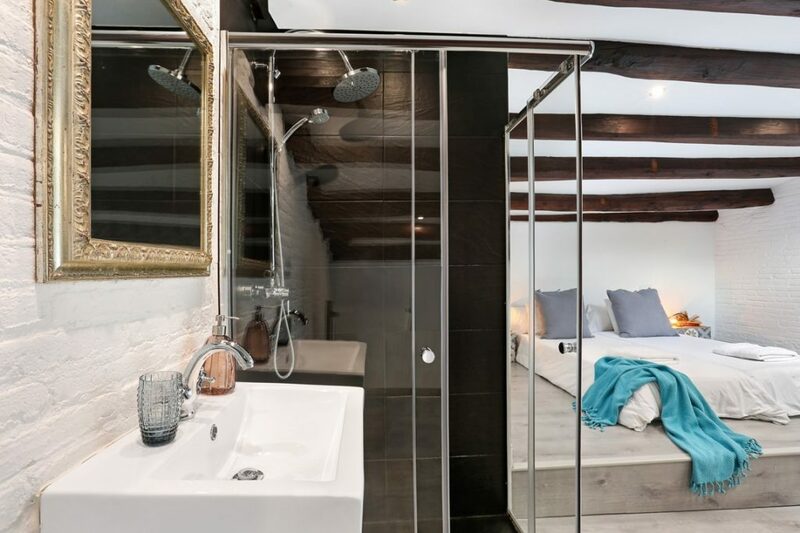 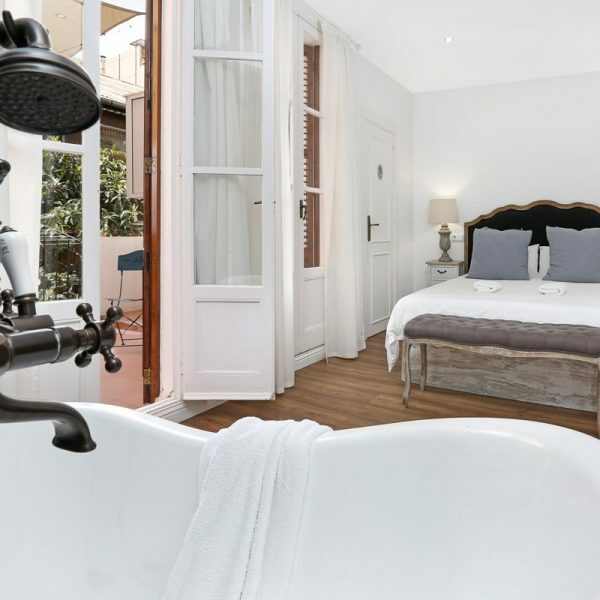 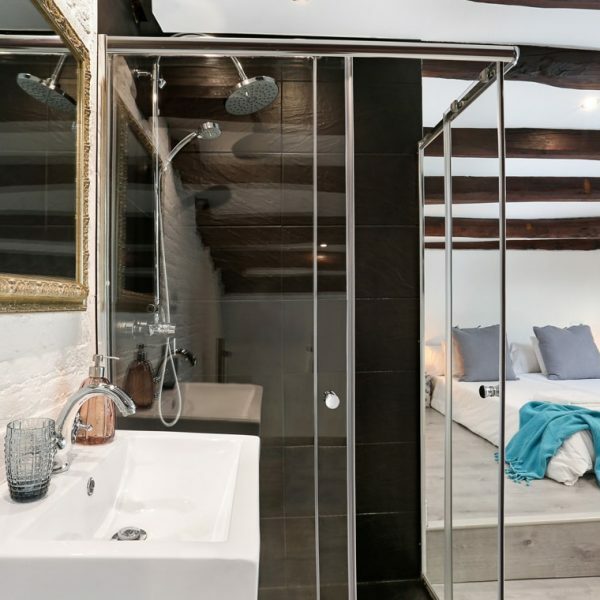 The apartment has been renovated with a classical chic decoration, it boasts very spacious rooms and a bathtub in the main bedroom with views to its cosy and quiet terrace. 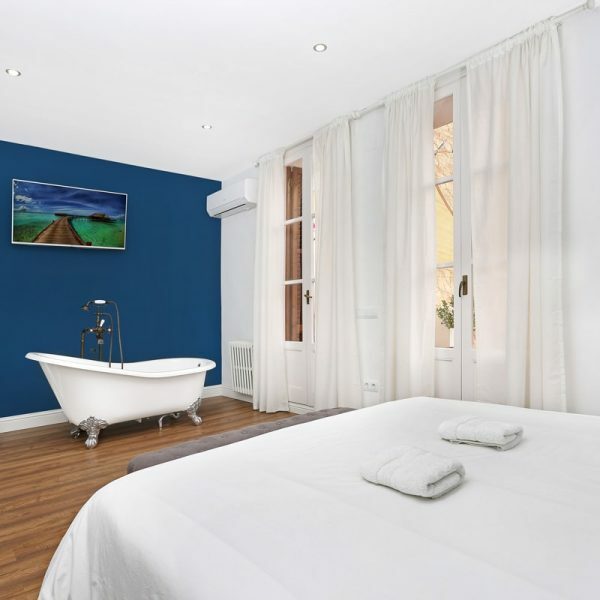 It is fully equipped for your comfort, including air conditioning and WIFI internet. 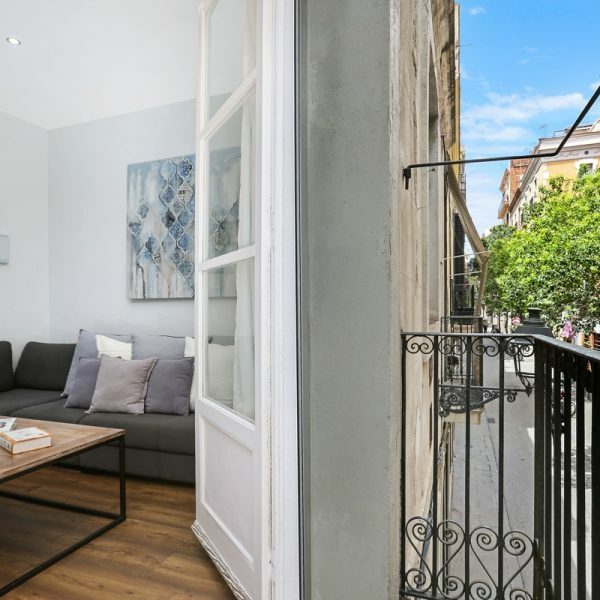 The size of the flat is 90m², with two rooms for up to a maximum of six people. 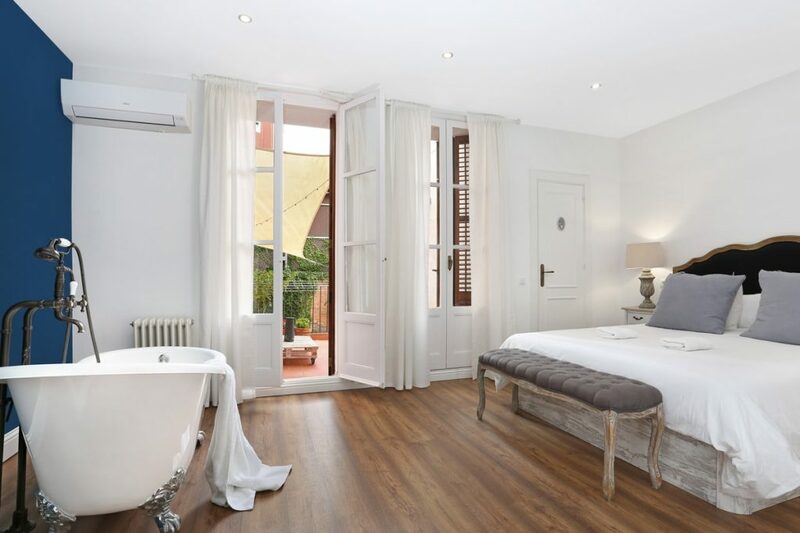 -Master bedroom with big double bed, TV, closet and ensuite bathroom with rain shower. 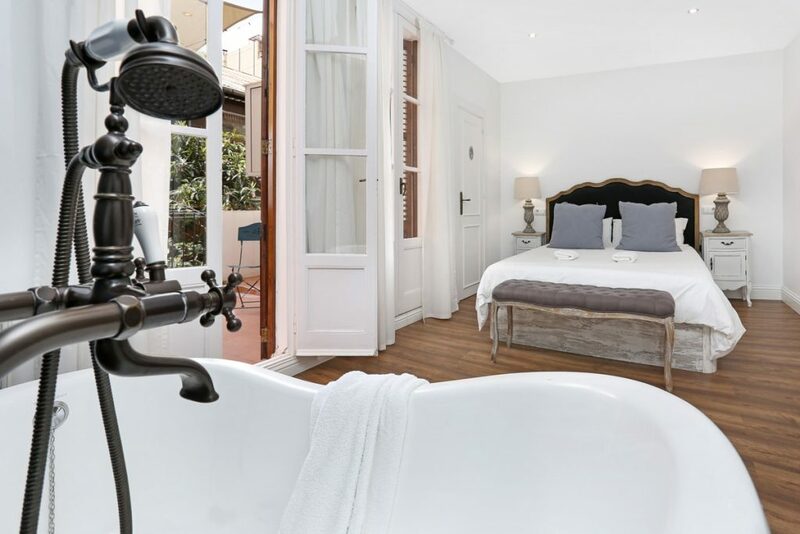 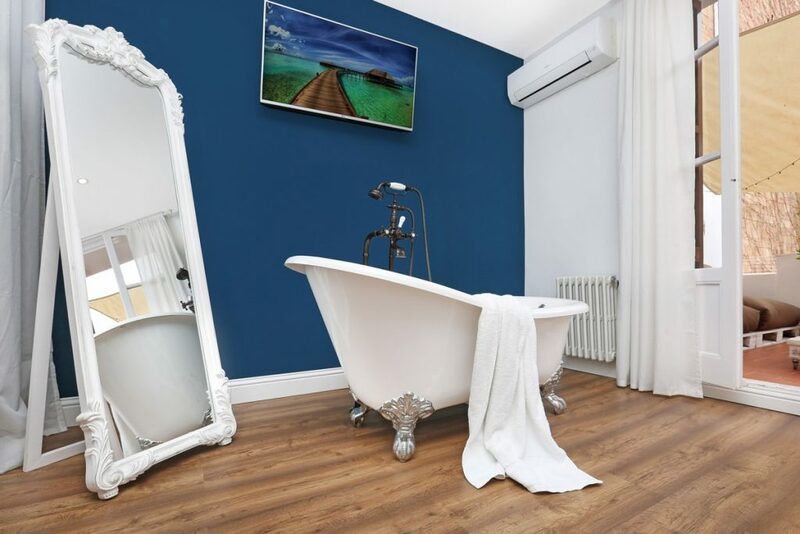 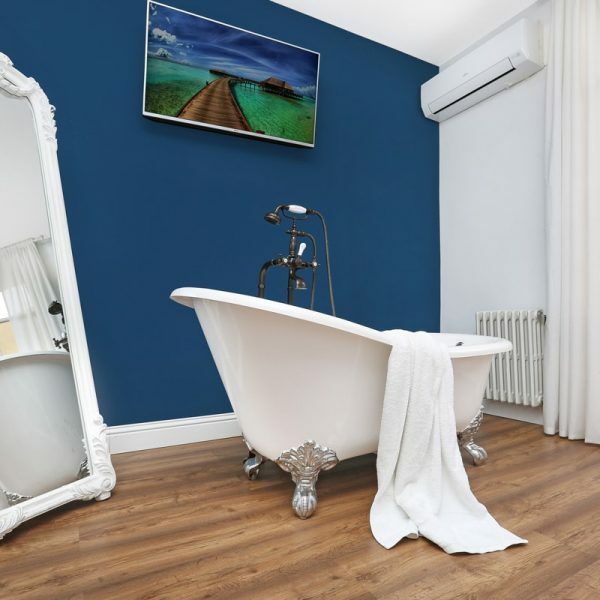 It has a romantic bath tub in the middle of the room with views to the terrace. 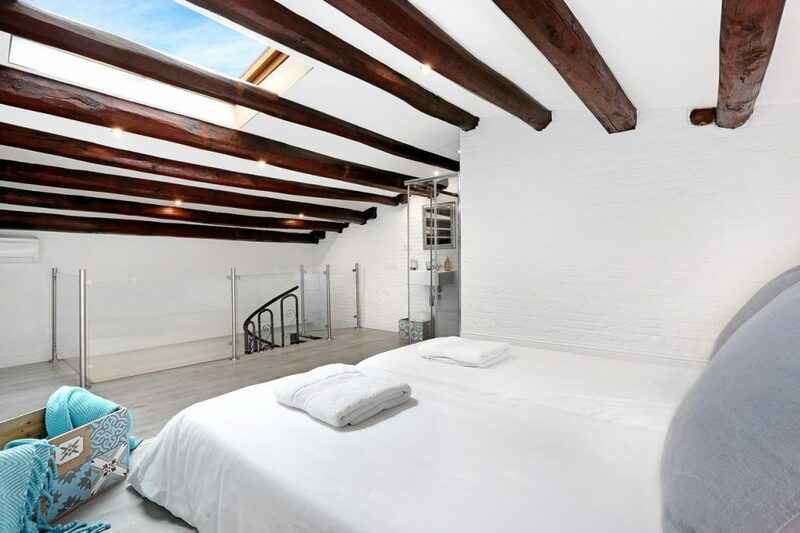 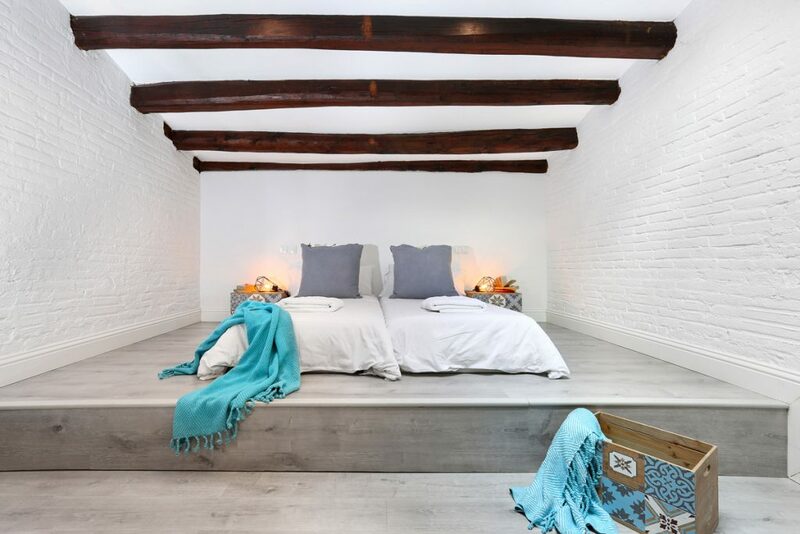 -Attic bedroom with twin beds (which can be turned into a double bed), private sink and rain shower (no WC). 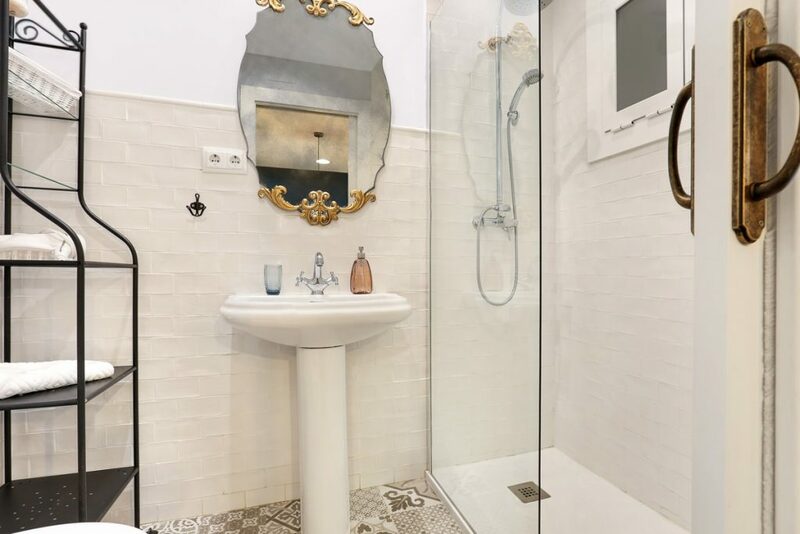 -Full bathroom with rain shower. 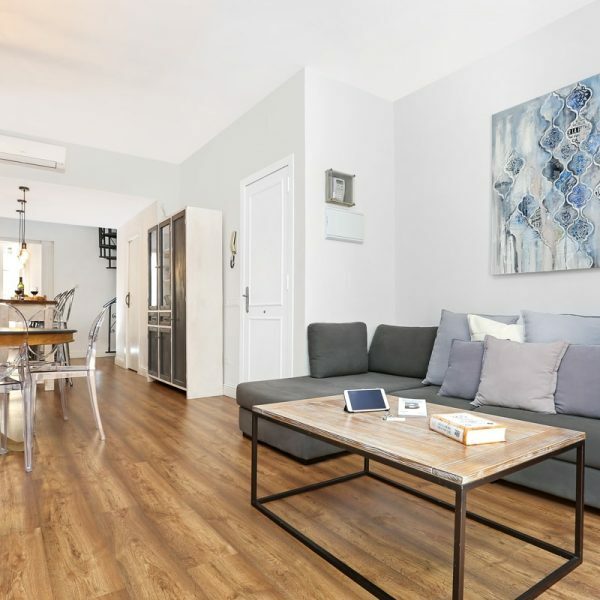 -Spacious living room with sofa bed, table with 6 chairs, huge 49” Smart TV, DVD player and wireless bluetooth speakers. 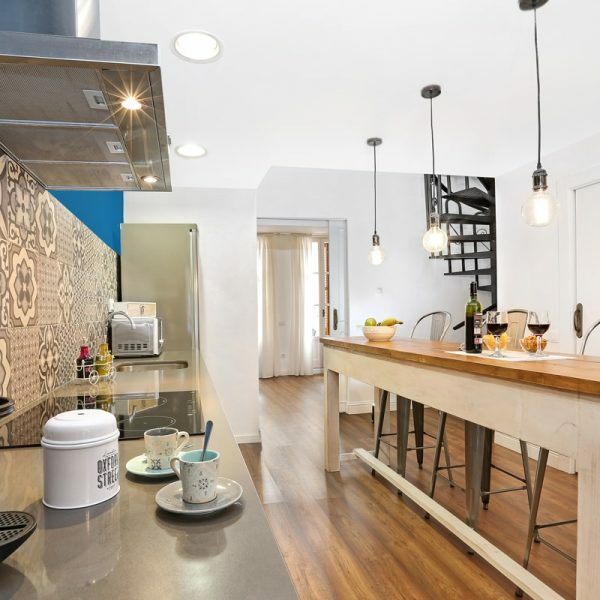 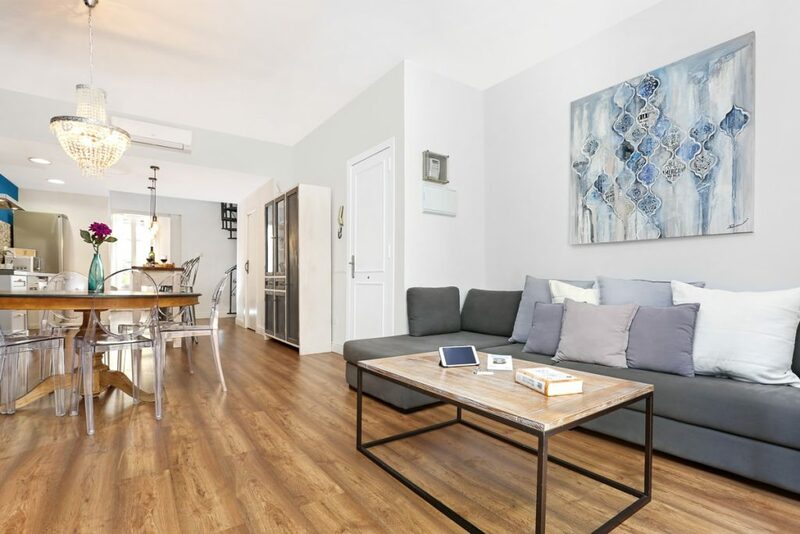 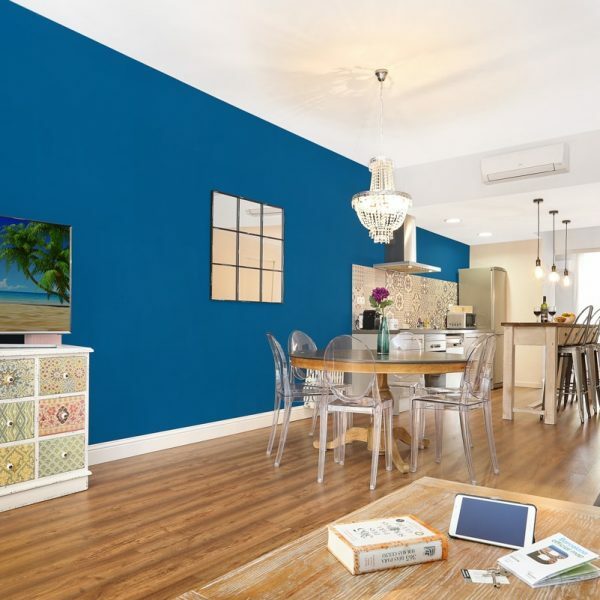 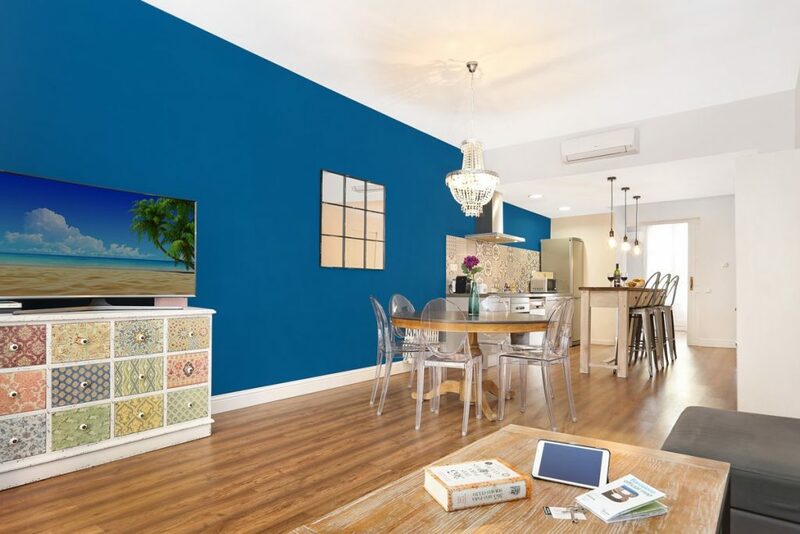 -Fully equipped kitchen with oven, microwave, fridge, coffee machine, dishwasher, washing machine and everything you may need during your stay. 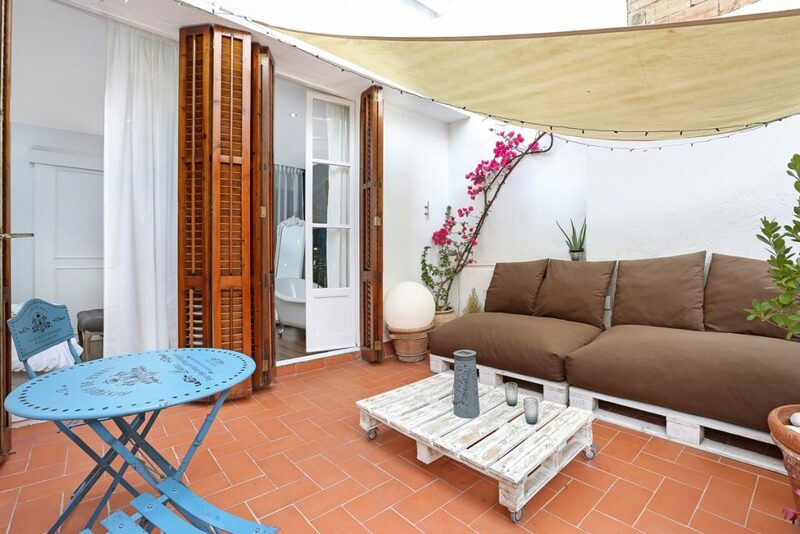 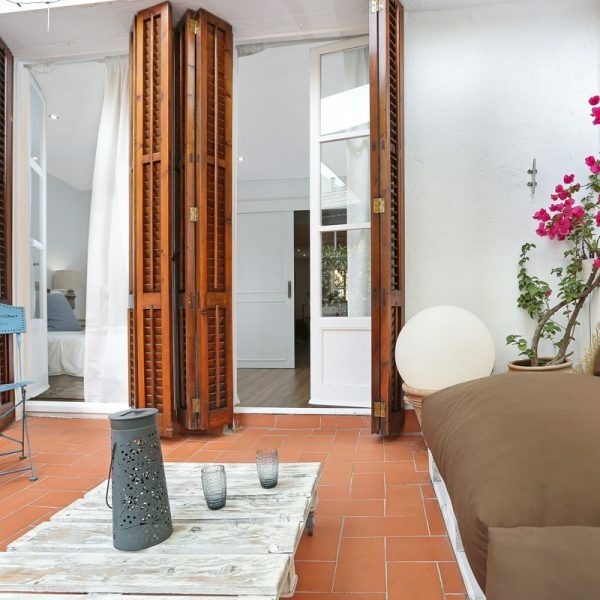 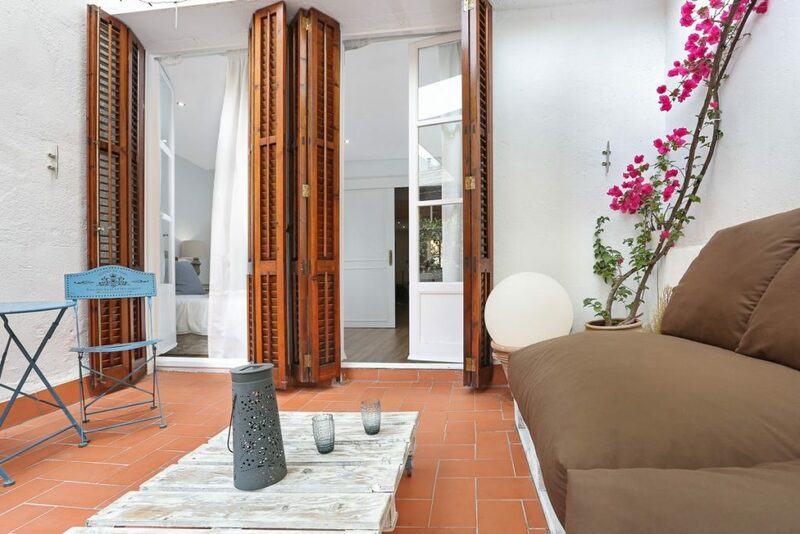 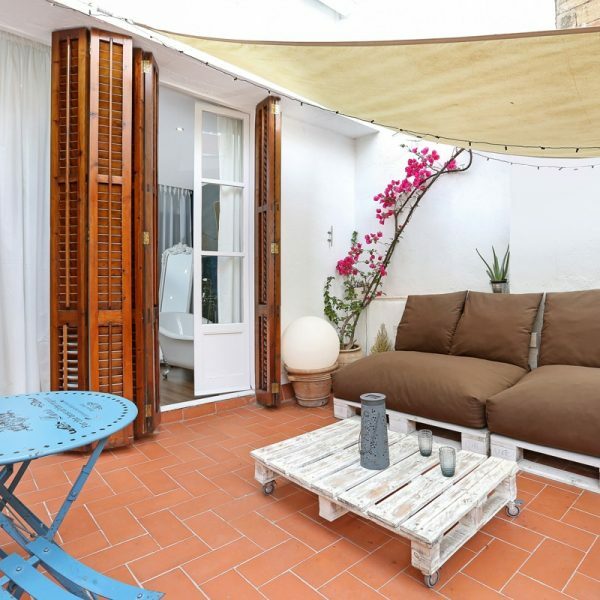 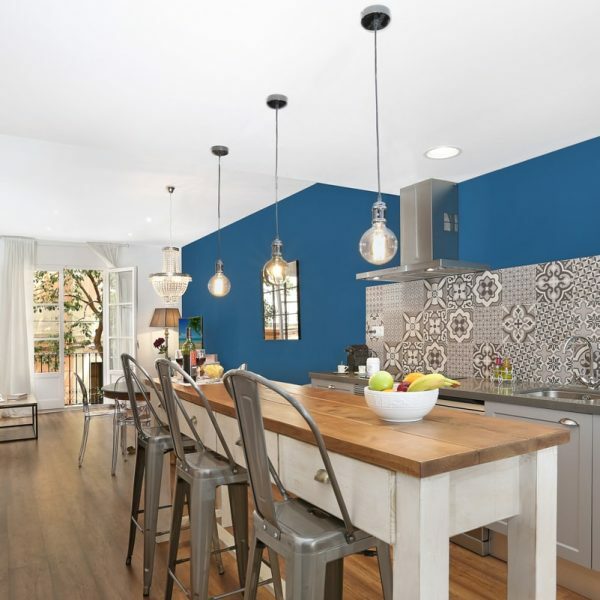 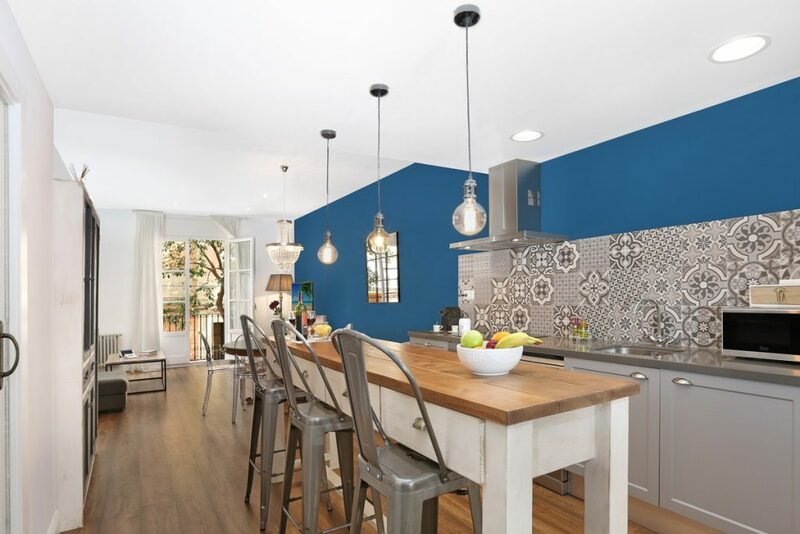 -Cosy and quiet 15m² terrace to relax after a long day. 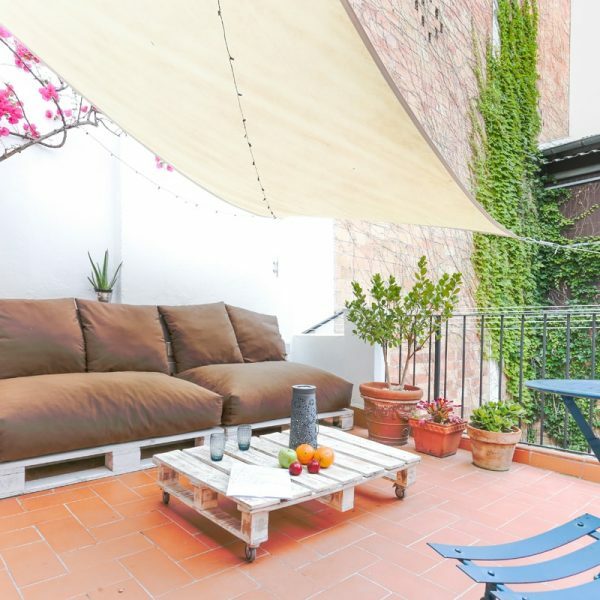 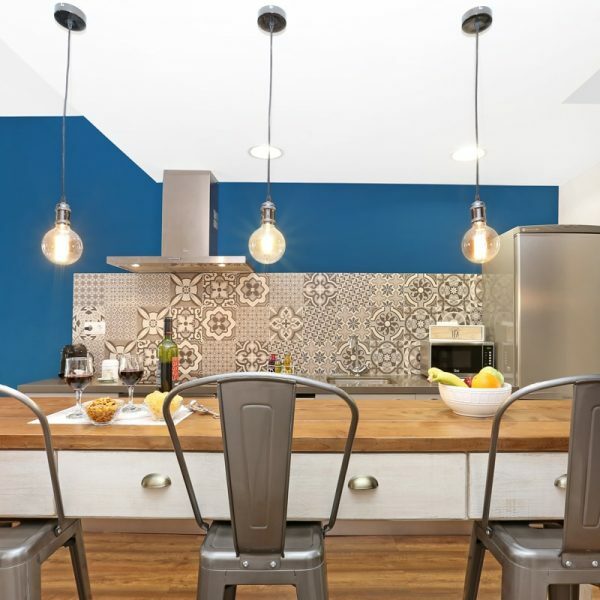 The apartment is located in Gracia, a hip bohemian neighbourhood, favourite spot amongst artists and full of international restaurants. 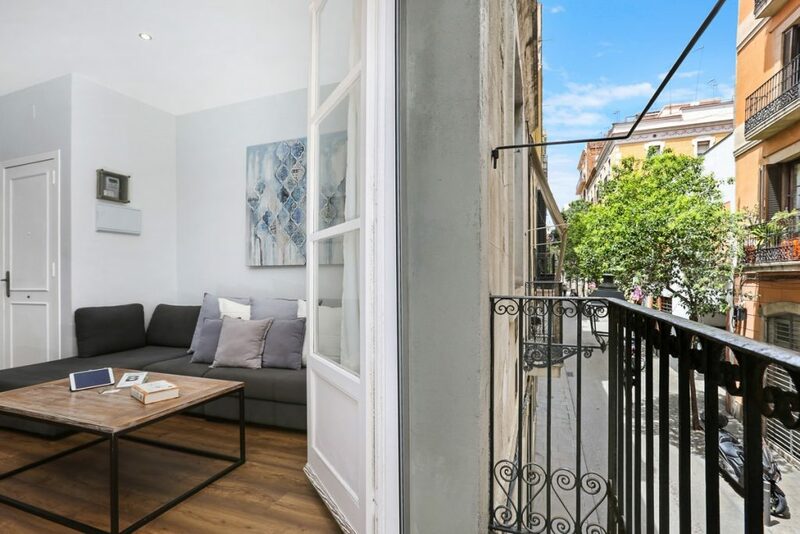 With its small intricate streets and beautiful squares (such as Plaça de la Vila or Plaça del Sol) it’s just the perfect place to go for a walk and experience life as a resident in Barcelona.